In Santhali villages in Godda, along Jharkhand’s border with Bihar, many slanting stone megaliths that mark the community graves are those of young women who died in childbirth in recent years. Tribal families in the hamlets scattered in Sundarpahari and Poreyhat – many of whom speak only Santahli – recount desperate struggles for medical help when young women in their families in advanced stages of pregnancy experienced complications. At Paharpur village in Sundarpahari, Gopin Soren spoke haltingly as rain fell over the hut where his 19-year old daughter Sadbeeti, pregnant for the first time, died last year. “On Thursday we went to my son in law’s home in Borhwa, everything was fine. The next morning my wife and I got a message that my daughter had fainted. We reached and called a local medical practitioner. He tried to give her a saline drip but he just could not find her vein,” he recounted. 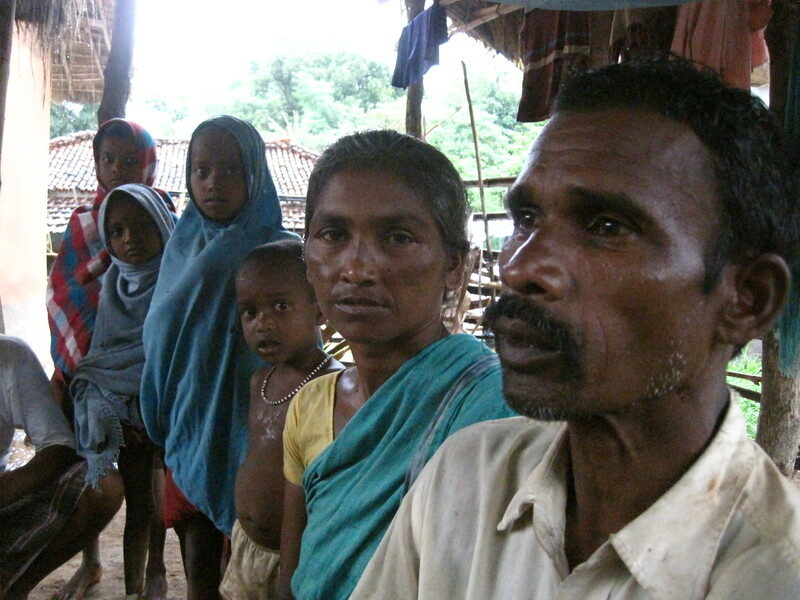 At 5 pm he, Sadbeeti’s husband, and two relatives carried Sadbeeti six km on a cot to Paharpur. Back in their village Gopin asked the village sahiya (health worker) Phool Marandi for help to reach the health sub-center at Sundarpahari 20 km away. The sahiya called the call-center to request a Mamta Vahan – a free of cost ambulance service for rural women through privately-owned vehicles started in Jharkhand in 2011. By now Sadbeeti was having convulsions, a condition called eclampsia. “I decided to call the vehicle owner Pintu directly. I called him thrice between 7 and 9 pm. He said he is out right now. I understood that he does not want to come. The villagers had attacked a person caught stealing the electricity transformer in the village a day earlier. Maybe he feared that there will be more violence,” she said. At 2 am, Sadbeeti died eight months and two weeks pregnant. Twenty km away in Ghanghrabandh village in Poreyhat, Denmey Murmu described she had watched her only daughter Talabiti Marandi, 22, die after giving birth. “Eight hours after she gave birth she started clenching her fists and she said she had a burning sensation. Sarojini the sahiya refused to call a vehicle so we hired a private vehicle for Rs 1,300 after mortgaging my jewellery for Rs 2,000,” she said. On January 19, Talabiti Marandi a graduate from Mahila College, Godda died on her way to Godda government hospital. 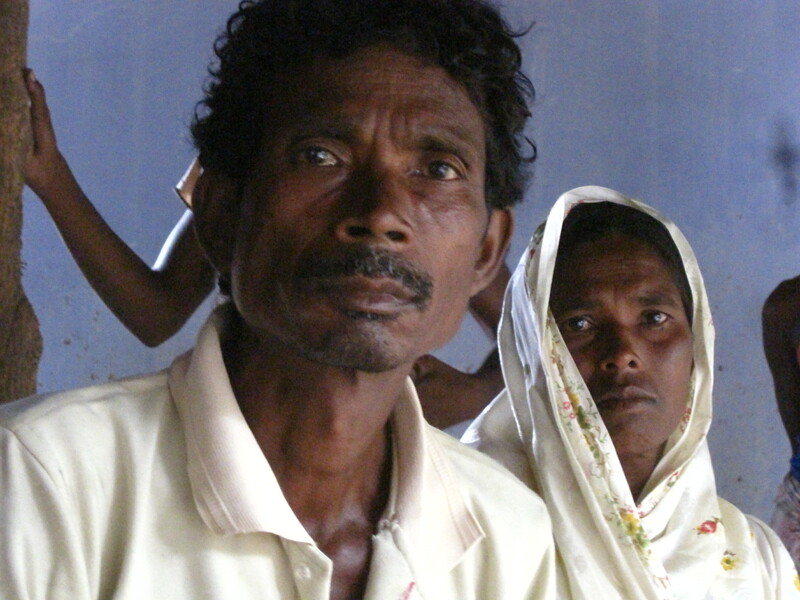 Most Santhali and Pahariya families here survive on a diet of rice and potatoes. Pregnant women are meant to get Iron and Folic Acid (IFA) supplements tablets – each costs 20 paise – after their second trimester but Jharkhand government stopped distributing these for two years after the central government discontinued providing the tablets between 2010-12. “Many women have severe iron deficiencies and are at high risk because after the delivery their blood does not clot, the uterus does not contract and the woman may die of post-partum bleeding. Government has schemes to provide four ante-natal check-ups so complications can be prevented. For instance, eclampsia is common among women in later stages of pregnancy and manifests as high blood pressure. If doctors detect this early, they can put the woman on hypertension medicine till the foetus is removed through a caesarean section,” said Lindsay Barnes of Jan Chetna Manch who has worked among rural women in Bokaro villages since 1993. Godda hospital that caters to the district’s population of 13 lakh has 40 beds and two ambulances. It started providing facilities for a caesarean section only last year. It was supposed to get a blood bank in 2000 but the space marked for this is being used as National Polio Surveillance Project office and doctors’ restrooms. In case of complications, patients are referred to the government medical college in Bhagalpur in Bihar, 70 km away. Godda should have a Mamta Vahan in each of its 201 panchayats but only 111 vehicles have been hired right now as officials say they could not find vehicle owners in all panchayats. Earlier, a government enquiry was done in 2011 after 25-year old Mary Hasda in Tetaria village had reported that staff at the district hospital left a cloth inside her birth canal after she delivered a stillborn baby. She had reported that the hospital staff asked for Rs 500 bribe after she gave birth to the stillborn baby. “The enquiry team interrogated the family – which spoke only Santhali – as if they had done a crime,” said Soumik Banerjee, a researcher who documented 23 maternal deaths of women 18-23 years of age in the two blocks between April 2011 and March 2012 – an average of nearly two deaths a month. The full report was published in The Hindu on September 7. A week later, taking suo moto cognizance, National Human Right Commission asked Jharkhand government to respond in four weeks. Jharkhand government is yet to respond. Since 2010 when the central government discontinued the supply of medical kits containing Iron Folic Acid, vitamin A, zinc tablets and Oral Rehydration Solution packets under National Rural Health Mission (NRHM) to states, village anganwadis and health centers have turned anaemic pregnant women and adoloscent girls away. These are essential for reducing anaemia and birth defects which affect 69.5 percent women and girls between 15 and 49 and over 70 percent of all children below five in Jharkhand – the highest levels of anaemia according to National Family Health Survey 2 and 3 done in 1999 and 2006. 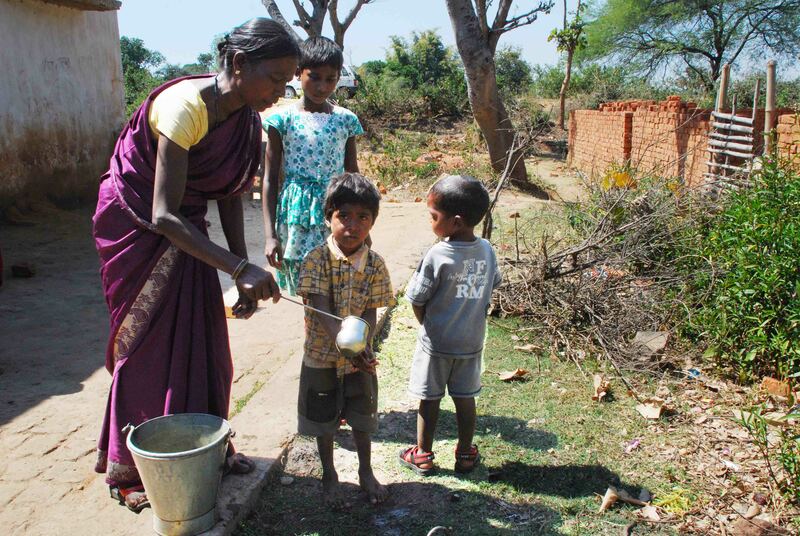 Over six lakhs, or nearly 12 percent, of children below six years of age in Jharkhand suffer from severe malnutrition. Children born underweight due to anaemia among women is a significant factor. Under a central scheme, 100 IFA tablets are to be given all pregnant women and weekly IFA supplements are to be provided to all adolescent girls between 16 and 19 years of age. Recently, adolescent boys have also been included in the scheme. “District civil surgeons were asked to procure this but some bought expensive non-generic IFA tablets and exhausted funds. A month back the tender process was completed and now those will soon be supplied to all districts,” said Dr Praveen Chandra, Director NRHM in Ranchi. In 2011, former health minister Bhanu Pratap Shahi, former health secretary Pradeep Kumar and other department officers were named as accused in a Rs 130-crore NRHM scam related to purchase of medicines. The CBI is now investigating the case. The state Social Welfare, Women and Child Development (SWWCD) website shows a budget of Rs 2.53 crores for purchase of “medicine kits” but officials in Ranchi say this meant only for purchase of first-aid. The department launched the Rs 70 crores Jeevan Asha program last month with focus on reducing malnutrition but this too does not have a component especially for IFA tablets. More than two years after she gave birth to her youngest daughter, Shanti Oraon, an adivasi farmer in Bhandara village in Khunti district has been unable to resume working in the fields. “She has breathing trouble, and could not start walking even after she turned two and a half years old. I must stay at home with her all the time,” she says of her infant daughter lying wrapped in a bedsheet on the floor. Across the road from Shanti Oraon’s house, Pooja Devi watches her one-year-old play with a plastic bangle in her mouth. “She weighed less than three kgs when she was born. She falls ill often even now,” she says. Bhandara lies a little over 30 kms from Ranchi, the state capital, and is on the outskirts of Khunti’s district center and market. Despite good connectivity with roads and easy accessibility, Bhandara and the adjoining villages Belahatu and Chikor have not received supplies of IFA since 2009. Shanti Oraon recounts that during her four pregnancies she received IFA tablets, each costs less than 20 paise, only before the birth of her second child more than four years ago but none before the birth of three of her children. “There are eight pregnant women and several adolescent girls in the village but we do not have any stocks of tablets to give them,” said Rukmini Devi, the anganwadi sevika in Bhandara as she prepared a meal of rice and soyabean nuggets for the seven children below six years of age who turned up for lunch that afternoon from among the 89 enrolled as per the anganwadi charts. “Over 3/4thd of girls between 15 and 19 are not in schools so there must be focus on how to reach them. In our surveys we have found that even when pregnant women get IFA tablets there are beliefs that these tablets can make your child darker – because the iron tablets can make the stool darker. Encouraging women to take tablets will require regular counseling,” said Job Zachariah, Head UNICEF Jharkhand. Read the full story in The Hindu here.